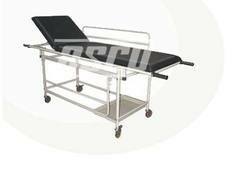 We present a wide gamut of Hospital Furniture-Stretchers Patient Trolleys such as Patient Stretcher Trolley, Folding Stretcher Trolley (Canvas), Automatic Loading Stretcher For Ambulance Car, Aluminum Alloy Stair Stretcher and Hospital Folding Stretcher Trolley (Canvas) at its best, with utmost quality. This is made of high-strength aluminium alloy thick-wall pipes. It is supplied with foamed cushion and the adjustable back making the wounded feel comfortable. This machine is very convenient; one person is enough to send the patient (with this stretcher) to the ambulance car. 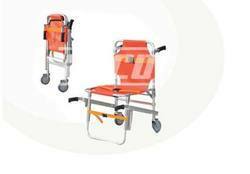 The mechanical foldaway legs are controlled by the handles on the both ends of the stretcher. And the legs can be folded under the stretcher automatically when loading into the vehicle. Also the stretcher can be locked by the fixing devices when on the ambulance car. 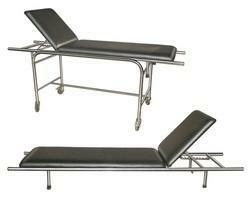 This type of stretcher is characterized by its light weight, durable, safe usage and easy for sterilization. 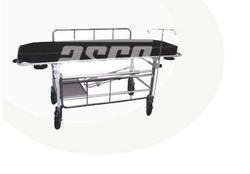 Banking on our enriched industry experience, we are engaged in offering a huge gamut of Patient Stretcher Trolley . 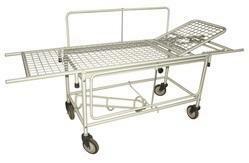 Leveraging on our latest infrastructure facilities, we are able to offer a wide gamut of Patient Stretcher Trolley. 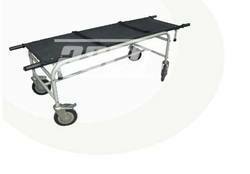 In the wake of the ever rising demand for reliable products, we are engaged in offering a wide assortment of Patient Stretcher Trolley. Can fold width wise for easy storage. 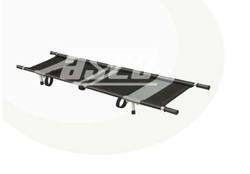 This stair stretcher is made of high-strength aluminum alloy materials. It is an ideal facility for emergency staff to transfer patient to go up and down stair. Two stationary rear wheels enable the patients to be moved over most surfaces with minimal effort. The stretcher provides the patient safety during transport process because of its 3 pieces of restraint straps with quick- release buckle. 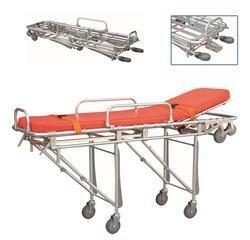 Under the front of the stretcher, it has two flexible uplift rods. 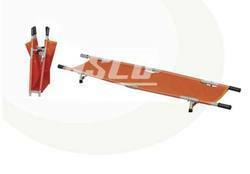 The stretcher can be folded and it saves the space in ambulance car. It characterized by its being light-weighted, small- sized, easy carried, user-safe and easy for cleaning. Maximum Load Bearing Capacity: 159kg.